What a week! I mentioned the other day that we had 2 kids' concerts to attend. 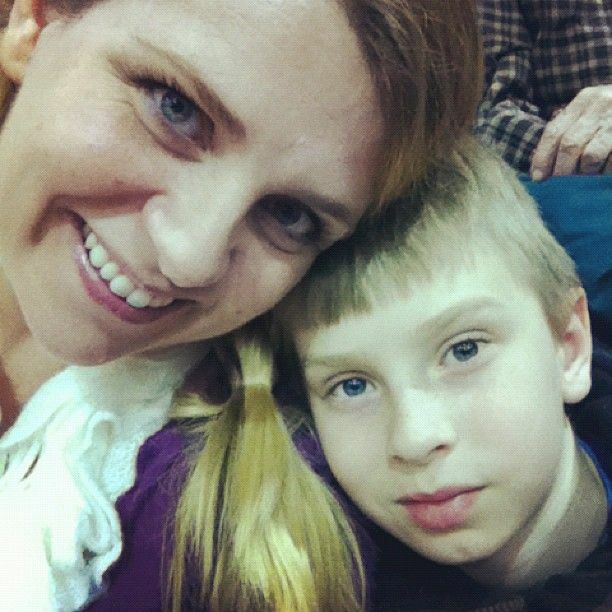 This is a snapshot of me and The Boy at one of them. Children singing Christmas songs gets me choked up every time. Our school has a tradition at the end of the Christmas concert where the kids all sing Silent Night. Then the entire audience stands up and sings it with them! For a brief moment, there is no "Public school" government legal blah blah drama... It's just an auditorium of people singing to God, led by children. Isn't it nice when this happens. Puts the spirit in Christmas for sure. Too bad it doesn't happen more often.